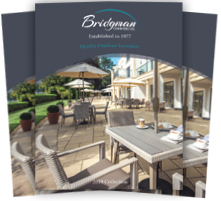 Outdoor Furniture has become very popular in the UK over the past few decades. 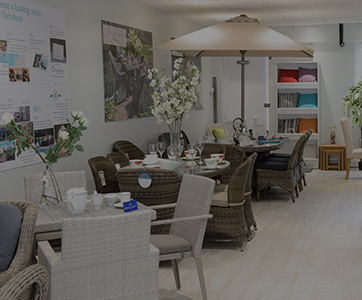 This demand has been matched by the constantly improving technologies involved in the manufacturing of outdoor furniture. Much like fashion, outdoor furniture adapts to demands and trends of the time. 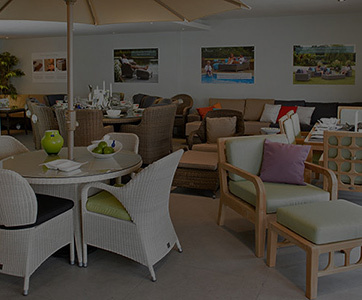 As in any industry there are innovators and people who push their own designs, however below is a general timeline outlining a rough evolution of outdoor furniture over the past 30 years. In the late 1980’s fashion dictated that white resin chairs and tables we the ‘in’ thing to have in your garden. This may have been due to a number of factors, including limited choice, or the very appealing price tag applied to resin furniture. 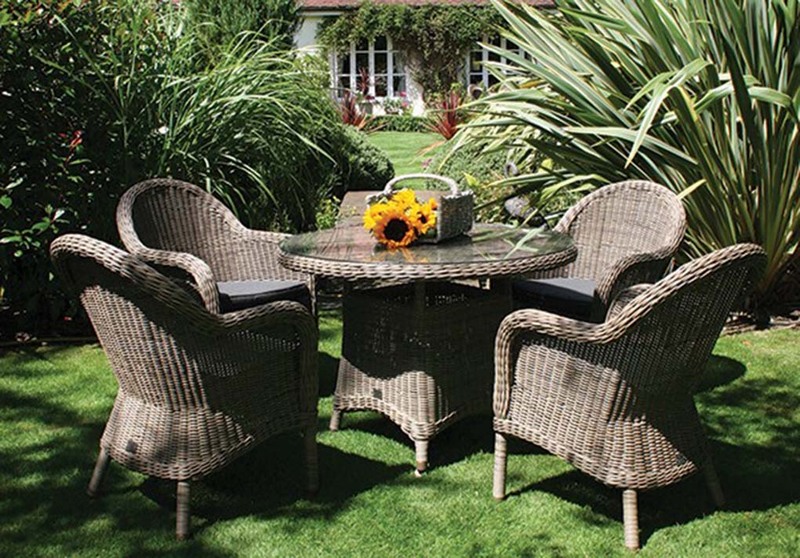 These sets were ideal for people on a budget, or people who rarely sit out in the garden. This white resin furniture was superseded by the desire for more substantial and higher quality outdoor furniture, and was requested by people who enjoy outdoor living. In the 1990’s the focus was on quality outdoor furniture which saw the rise of sales in wooden garden furniture, in particular Teak. 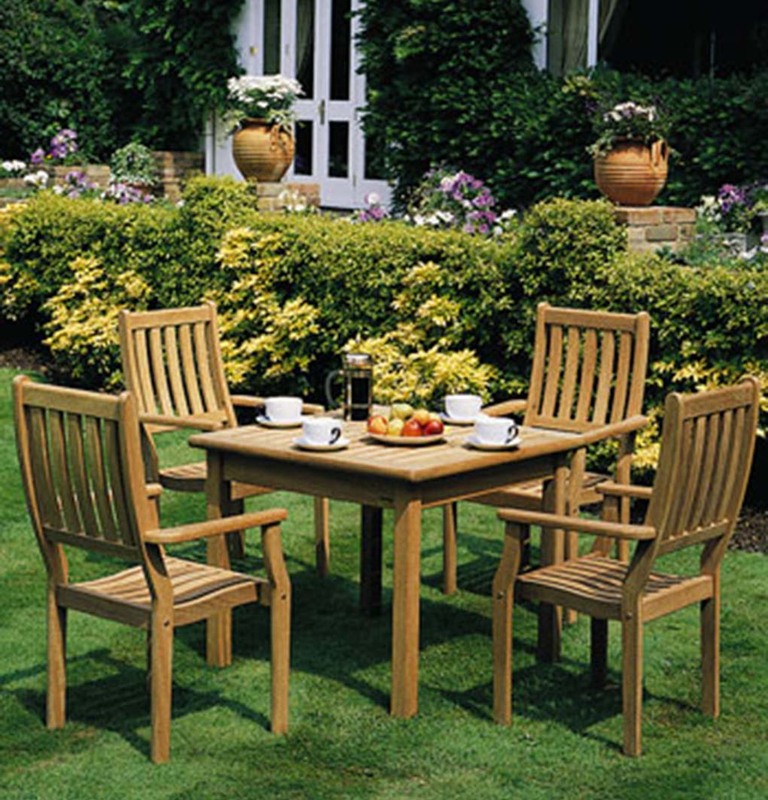 Teak outdoor furniture looks more traditional than its resin counterpart and lasts a lot longer too. Wooden outdoor furniture was often partially or completely handcrafted and designs constantly evolved. The 1990’s was when wooden outdoor furniture saw a dramatic rise in demand, and people had a greater desire to improve their outdoor living spaces. 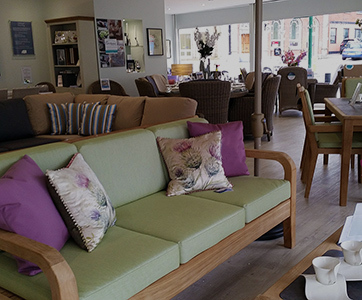 Although wooden furniture is still very desirable to most, a new material has emerged during the last decade which has been developed with the manufacturing of outdoor furniture in mind. Synthetic Rattan weave is made from HDPE (a polyethylene extrusion – more information here), and is ideal for use as outdoor furniture. If made correctly, the material will not fade, crack or split and will last for a very long time. 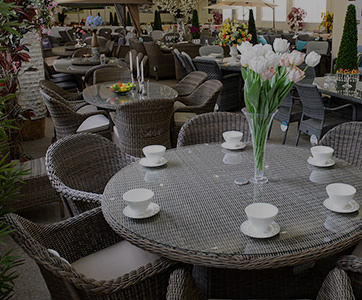 Rattan garden furniture can also be very comfortable and comes in a variety of designs. 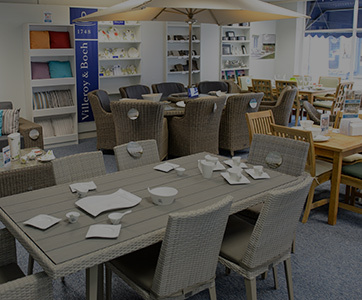 Word of warning: Although they may look similar, not all synthetic Rattan weaves are the same – always check for a guarantee when buying outdoor furniture. 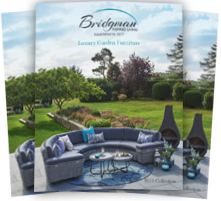 As with most consumer products, outdoor furniture trends are ever-adapting. 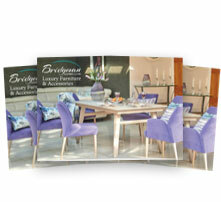 This keeps companies innovating and constantly improving the features and designs of their furniture. The future of outdoor furniture depends on some part what customers demand is, and will also be greatly influenced by the development of future technology.